Panerai’s 1940s hybrid designs are the source for the 1940 collection that debuted several years ago. The numeral typography appears industrial but is softened by the peach coloring Panerai adds to the hour and small seconds hands. For the first time in a watch in the Radiomir 1940 collection, the dial of the new Radiomir 1940 3 Days Automatic is offered in white. The graphic design as a whole maximizes the dial’s clarity and legibility. 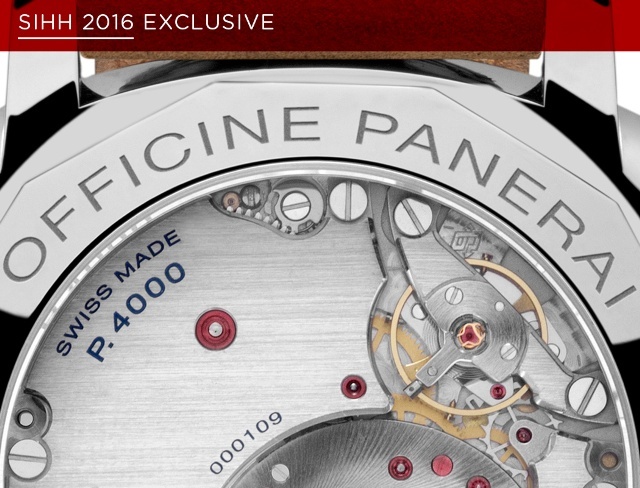 The transparent caseback reveals the automatic P.4000 movement, entirely made in the Officine Panerai Manufacture in Neuchâtel, Switzerland. The cushion case, in stainless steel with polished finish, is 42mm in diameter and only 10.93mm thick. Its shape and proportions are those of vintage Panerai, though its materials, finish and ergonomics have of course been updated. A wide plate covers the greater part of the mechanism and the full balance bridge carries the balance. The off-center micro-rotor, connected to the two spring barrels, allows for the relatively slim 3.95mm thick caliber. The rotor is made from tungsten. The three-day power reserve is the new minimum standard for Panerai watches fitted with Manufacture movements. 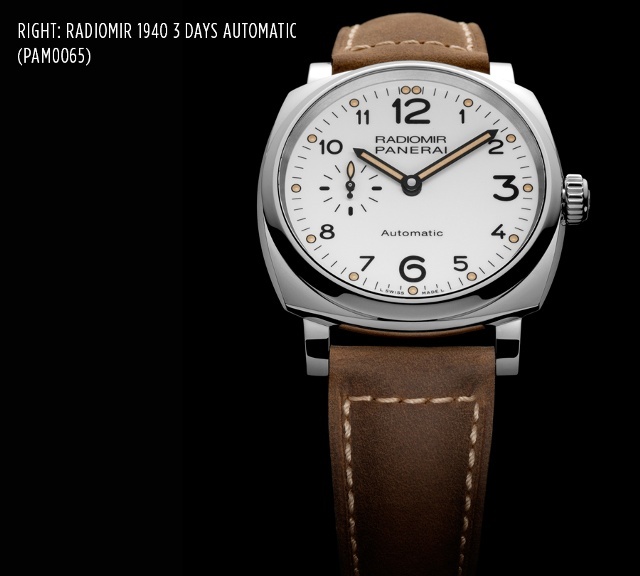 The Radiomir 1940 3 Days Automatic comes on an untreated leather strap with light-brown stitching. For full coverage on SIHH, visit our event page.